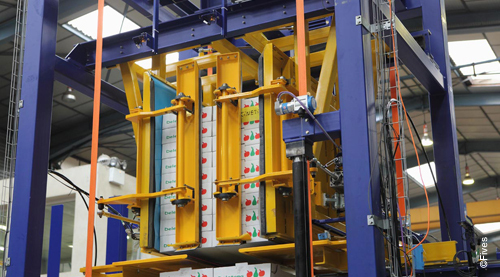 Splitpal® can automatically divide the contents of pallets up to 2.4 m high to make splitting loads easier when breaking down parcels. Mass distribution logistics faces the dilemma of maintaining the height of pallets that come in while improving workstation ergonomics. Fives partnered with the mass distribution logistics sector and has narrowed down and resolved the issue with an innovative award-winning solution called Splitpal® that is widely acclaimed in the industry. The strenuous nature of some jobs in logistics warehouses and much stricter standards and regulations have made RSIs (Repetitive Stress Injuries) a major concern. 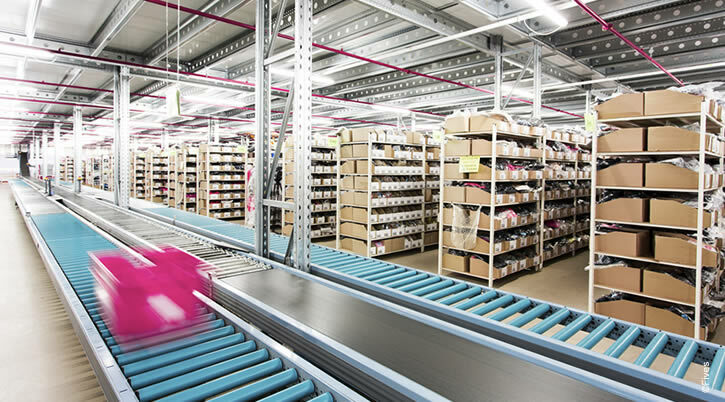 It has become such a serious issue that the national health insurance agency has restricted the height for manual materials handling to 1.8 m, which is stopping these warehouses implementing ergonomic solutions. 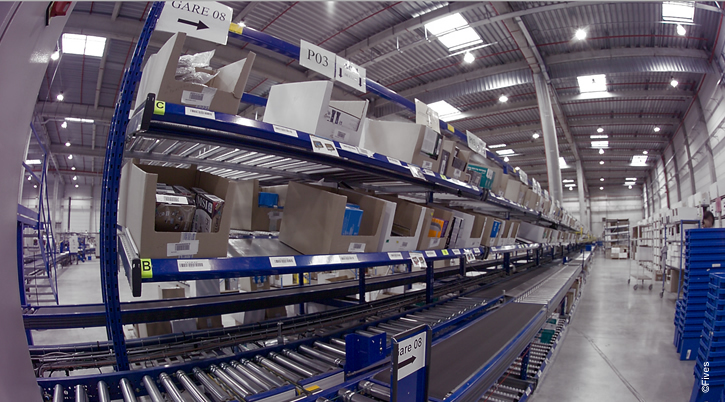 The Splitpal® solution complies with these recommendations and optimizes productivity for order fulfillment. Dividing tall pallets as they come in maximizes truck loads and prevents shipping empty freight. With Splitpal®, logistics operators can reduce their shipping costs and limit their environmental impact. Splitpal® made by Fives reduces our environmental impact and cuts down our receive-side shipping in addition to significantly improving ergonomics for our fresh produce fulfillment.